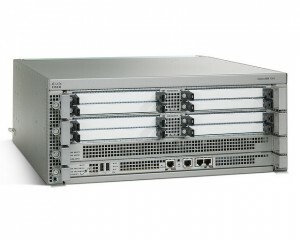 The Cisco 7200 Series routers have been at the Enterprise Edge for almost two decades. Even though the first 7200 Series router came out in 1996. Cisco has kept the 7200 Series routers up to date by releasing a new chassis (The 7200VXR in 2002) and continuing to release new Network Processing Engines (NPEs). The current NPE-G2 processor (released in 2006) for the 7200VXR Series offers forwarding rates up to 2Mpps, 1.8 Gigabits backplane fabric bandwidth and a maximum of one million routes in the forwarding table. The 7200VXR Series with the NEP-G2 is acceptable for links with up to 500Mbps of traffic. With the latest generation Route Processor 2 (RP2) and Embedded Services Processor 40 (ESP40), Cisco claims, and we have verified, forwarding rates of 23Mpps (10x the 7200 platform). The latest hardware also supports up to four million IPv4 prefixes, four times that of the 7200. When replacing a 7204, we suggest using the ASR1004. If you have a 7206, or need hardware redundancy, you will have to go with the ASR1006. The ASR1006 is a highly flexible router with 3 SIP carrier slots, space for up to 12 SPAs and redundant RPs and ESPs. For this report we focused on the ASR1004’s performance and features. The Huawei NE40E-X1 and X2 are the lower end of the NE40E series routers from Huawei. They are focused on Ethernet Metro, but also suitable for the Enterprise Edge. The NE40E-X1 offers up to 20G of mix-and-match interfaces while the X2 offers up to 40G. If you are looking for redundancy, you will need to go with the X2. Another option from Huawei is the NE40E-X3, which is a more direct competitor to the ASR1004/ASR1006. The NE40E-X3 offers compatibility with the Linecard Processing Units (LPUs) used in the higher end NE40E-X8 and X16. 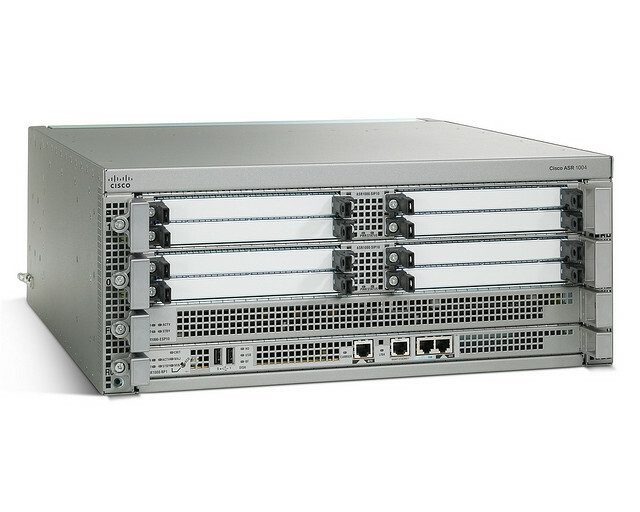 The NE40E-X8 offers line-rate forwarding of 40 byte packets with minimal features enabled on the system. The Juniper MX40/80 is the smallest router of the group, being only 2RU, but offers big performance: up to 55Mpps of forwarding and 40/80Gbps of fabric bandwidth depending on which model you purchase. The MX80 router is a single-board router with a built-in Routing Engine and one Packet Forwarding Engine (PFE), which can have up to two Modular Interface Cards (MICs). The PFE has two Flexible PIC Concentrators (FPC 0 and FPC1), which use the same PFE for both ingress and egress forwarding. The main limitation of the MX40/80 is the lack of hardware redundancy. To have redundancy you need at least two routers which increases cost. Why not the Juniper MX5? It will crush the 7206 in every aspect, it’s cheaper than the ASR1002, especially when you factor in the SIP/SPA cards and it’s also cheaper than the MX40/80, but can be upgraded simply by purchasing a license to the same performance, as needed. However, even bare bones, it kills the 7200. Nice comparison Steven, but in my opinion you forgot a very important vendor in this comparison HP. HP (H3C) has excelent routers that’ll compete with all the named vendors especially Cisco and Huawei. The 7200 series from cisco is REALLY OLD ! So it is not hard to CRUSH this router any more – what about 7 years ago before the VXR came out ? was HP Huawei or Juniper anywhere near way back then ? No ! Leave Cisco alone ! They are the best in thier field. Period.